Abrasive blasting is the operation of forcibly propelling a stream of abrasive material against a surface under high pressure to smooth a rough surface, roughen a smooth surface, shape a surface or remove surface contaminants. A pressurized fluid, typically compressed air, is used to propel the blasting material, which is often called media. 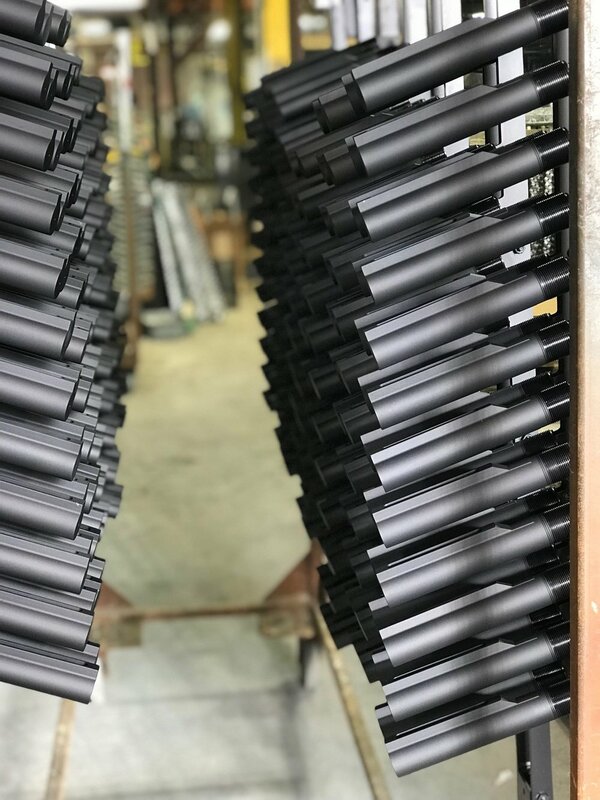 Chicago Anodizing has Glass Bead, Sand, and Aluminum Oxide media in-house, and can supply our customers with custom media selection if necessary. Abrasive Blasting is a terrific option for cleaning up metal or enhancing it's aesthetics, and can be administered prior to TYPE II and TYPE III anodizing.